There are so many challenges that organizations face. Healthy organizations continuously tool and retool themselves to go from good to great. 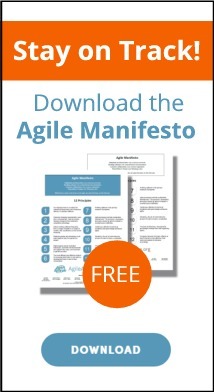 This paper will describe the road taken to transform a major government organization using Agile, Lean and Scrum principles, practices and techniques. From the contracting process to initiating, executing and closing projects, to redesigning the physical workspaces, and moving from a matrix to a team centric structure, this organization completely retooled how it did business, for the better. Let us introduce you to “The Organization”...which we will affectionately refer to as ORG for the remainder of this paper. ORG is a fairly autonomous organization within a federal government agency which operates like a business. What this means is that ORG only initiates projects when external federal government customers (who we’ll call GOV) hire them to develop small to medium sized applications meeting specific requirements and financial parameters. ORG is composed of Project Managers, Developers, and a smattering of Specialists who perform requirements gathering, testing and administrative duties on a part time basis. Requests to develop a new software application can come from any part of GOV. ORG is seen as a low cost, fast way to build small to medium sized software applications without the overhead of going through a Request for Proposal (RFP) process. ORG has mixed membership comprised of both contractors and government staff. Though ORG has the ability to ramp up and down its contractor workforce when it sees fit, this is rarely done since the work flows in on a steady basis. In the past, once a request from GOV was given to ORG, an ORG Project Manager (PM) was assigned to gather requirements, scope the project with a schedule and dollar amount, staff the project with people from across ORG and then execute the project to completion. Developers were almost always assigned at least 3 to 4 projects concurrently. While this model worked to some extent, there were frustrations, failures and an increasingly bad reputation was being developed across GOV. The Program Managers and the ORG Director knew that planning for projects was too unpredictable, error prone, frustrating and confusing. ⦁ Josephine, a PM in ORG, feels yet again distraught that she cannot find a developer to work on a new project that has been accepted by ORG from an anxious GOV customer. ⦁ George and Jean, ORG Managers (the leaders for ORG), are in Jean's office for the third time this month trying to figure out how much time Jack, a Java developer, will be able to work on both of their projects. Jean struggles to figure out objectively what capacities Jack, as well as the other developers in her organization, have at any given time. ⦁ Martin, a GOV customer, is furious that his project has to secure additional funds to finish his most important needs for the product. Martin is one of many customers who have had to make a decision late in the schedule to determine whether they should continue to fund the projects they've contracted or stop the project at once. ⦁ John is a new developer in ORG and is confused and frustrated because there is no standard way of producing a software build in ORG. To make matters worse, each of the different software build incarnations are manual, labor intensive and error prone. ⦁ Rob, the Chief Technology Officer (CTO), feels ignored because yet again the technology staff has not been involved in the technical scoping of another project that has been driven off the technical rails. That’s where we, Brandon and Judy come in, your friendly authors and now resident Agile Coaches for ORG. While the names have been changed to protect the guilty (except for Brandon and Judy, of course! ), the above represent some of the real-­‐life challenges the coaches faced when they arrived in ORG. By using Lean, Agile and Scrum principles and techniques, Brandon and Judy set ORG on a road to higher productivity and business-­‐valued results for its customers. Let’s go on a journey, one that would last over a year, through the story of ORG’s transformation, and we’ll show you where we hit bumps, took detours, and sometimes even took the scenic route! Once aboard, one of the first suggestions the Coaches made was to ask the leadership of ORG to form a Transformation Team (TT). This group would be charged with developing a transformation strategy for ORG. The TT would set the stage for everything that followed for ORG. It would serve as a visible beacon of change and send a clear message to the entire ORG that leadership was behind this change for the long haul. This approach would also provide an opportunity for those in the TT to develop some empathy for the change that would be felt by the rest of ORG. ⦁ George and Jean were Product Owners (POs) and TT Delivery Team members. ⦁ Rob & his team of architects were part of the TT Delivery Team. ⦁ Brandon and Judy were Scrum Masters (SMs) as well as Delivery Team members. ⦁ The rest of the ORG acted as stakeholders and end users. The first order of business was to train the TT by holding a “bootcamp” session. During this session, Brandon and Judy gave the TT an overview of Agile, Scrum, eXtreme Programming and Lean principles as a way to level set on the basics. In addition, the bootcamp provided a way for the TT to start going through Forming, Storming, Norming and Performing1 steps. The TT solidified the membership, roles, responsibilities and structure in which it would operate. Most importantly, the TT developed a Vision for the ORG Transformation. For ORG, The Transformation Team will be working to uniformly transform ORG processes to incorporate Agile principles and practices. The Agile Team will be collecting, prioritizing and executing new techniques and removing impediments in order to realize a more Agile ORG thereby delivering software products to its customers with the right price, within the time they need those products, and with the features they need with the highest of quality. The Roadmap detailed the sequence of steps, complete with dates and milestones that the TT would take to achieve the Vision. Each Release contained more detail about the organizational goal (effectively, smaller steps that needed to be completed to each the larger goal). Both Josephine (remember our PM?) and Jack (our developer) continued to express their frustrations to Brandon and Judy around project support. Things had certainly reached a boiling point...they really wanted to stop the practice of flowing people to work, instead of the reverse! ⦁ Complex and Expensive! Forming, storming, norming, and (never really) performing came at a large cost, both in terms of time and dollars. ⦁ Planning was difficult and inconsistent! It was clear that moving to a more team-­‐centric organization would help relieve some of the pain. While there were those who saw that a team-­‐based approach had its merits, a large majority of the organization was resistant to change. ⦁ Its readiness for teaming. ⦁ The team’s current work was amenable to agile practices and showed potential for increased productivity. ⦁ Providing feedback to the TT from the IPTs. Each IPT was a self-­‐organizing, cross functional team that had at its Core all the skills and resources necessary to accomplish the work it committed to for the project. With each sprint, the IPT would Plan-­‐Do-­‐Check-­‐Act using Scrum as a foundation and bringing in XP engineering practices where necessary. In addition, new leadership models needed to be coached. ⦁ Lack of defined artifacts to produce. ⦁ Tools to help organize the work. ⦁ Fighting the legacy of years of inertia working in one particular way. The staff were very use to command and control leadership styles. The IPTs and new Scrum Masters embraced new Servant Leadership principles as part of their transformation. ⦁ Providing a steady diet of priorities fed by a participating customer. ⦁ Frequent cycles of inspecting and adapting. ⦁ Having a dedicated team to perform the work in a consistent and measured manner. ⦁ The team was developing a velocity...they could now begin projecting how much work they could take on in future sprints! Rob, our CTO, stormed into George’s office yet again, furious that he had been called to task for another project that was behind schedule when neither he nor any of the architects in his group had participated in the estimating or execution of the project. For years, typical engineering practices were not accounted for in the estimation and thus, not only did the schedule not incorporate a good majority of the engineering work required for the project, the actual overall quality of the product suffered. This manifested itself in rework, lost customers and a frustrated staff. Architects became part of the IPT early on to help determine some of the technical considerations while scoping the project. They accompanied the PMs to initial customer meetings and helped establish the requirements and determine scope and system level architecture. The entire IPT participated in the estimation process for the project. This helped bring a 'Wise Crowd' mentality to the organization -­‐ diverse, independent perspectives aggregated together to establish a richer plan and team to develop a better product. As a result of this experiment, the team became stronger and more confident of their estimates. The architects helped to point out practices and potential solutions that were omitted or overlooked in the past that made the project of better quality. Since this experiment worked so well with the Pilot IPTs, it was quickly adopted for all new projects being scoped. This would prove to be an early win for the TT and a clear improvement to ORG that all agreed upon. Martin, our frustrated customer, is scrambling trying to secure additional funding for his project that is now way over budget. The fingers can be pointed in many directions but one thing is apparent: The features that have been developed so far are according to the original plan, but are certainly not the important features that solve the original problem Martin was hoping to solve. Jean has just returned from meeting with Martin and his boss. It was not a pleasant meeting as her ears are still ringing from the screaming that took place. It was finally time to tackle the problem of better scoping the project from the beginning. This was another opportunity for the TT to help the IPTs develop a method to focus on an overall Vision, determine goals that achieved the Vision and defer the details until execution occurred. The TT decided that Roadmapping would solve this need. Roadmapping allowed the IPT and its customer to embrace the concept that not all the details had to be implemented; only the most important that achieved the goals of the Vision. ⦁ Allowed the customer to cut lower level details and not sacrifice the business goals. Putting this plan into action with future projects allowed the project’s schedule to be met, the project to be delivered at budget, and most importantly allowed the critical goals to be met without all the detailed features being developed; only those most important to achieve the goals. George and Jean were starting to really appreciate the positive changes coming from the Pilot IPTs. But, before deciding definitively if and how to roll out IPTs to the rest of the organization, Brandon and Judy suggested a retrospective. This retrospective would be organization-­‐wide to include all members of ORG. The purpose of the retrospective was to review events, generate insights and provide information such that the TT could decide when and how to roll out IPTs to the rest of ORG. Brandon and Judy suggested that the design of the IPTs follow that typical of most Scrum Teams. Each IPT would be a cross functional team of 7+-­‐2 people. ⦁ A Core Team where membership remains constant for the life of the team. Roles on this team include Developer, Tester, Requirements Analyst and Project Manager (who also assumed the role of ScrumMaster). ⦁ An Extended Team to support each IPT with those who had skills that were only temporarily needed and thus might split their time across multiple IPTs. ⦁ An Operations Team which provided support in the areas of Maintenance, Systems Administration and Database Administration. Each IPT would have a portfolio of projects. The portfolio was a mixture of projects the team would work ordered within a given sprint based upon a number of criteria including mission priority, schedule, strategic alignment, and budget. The number of projects an IPT would take on at a given time would be determined by the IPT. Over time, the IPTs would establish a ‘velocity of projects’ that was derived from the traditional definition of velocity based upon a trend of story points completed over time. Which projects were in the IPT was a consultation between the managers and the IPT with the aforementioned criteria as objective input. A team would have the ability to determine if it could take on more or less work by informing George and Jean. You may be thinking, “Why not work one project at a time?” This would be a tough challenge among all the other challenges to immediately get ORG to drop its legacy of taking on multiple projects at a time. The Core Teams were formed based upon implementation technology. For instance, an IPT might be focused totally on Java Enterprise Edition (JEE) or Ruby on Rails. Extended Team members have skills in Database development, User Experience, Graphics, etc. compromise in the short term was to begin adopting Work In Progress (WIP) limits for the projects an IPT takes on at a given time. As more and more teams came on board with the transition, the need became apparent for an environment that would scale as well as continuously reflect and improve for long term sustainability. Because of this, ORG established general frameworks, constraints, and a feedback loop so that each team could improve based upon the overall model of the organization. ⦁ The teams worked their portfolio of projects within the sprint based upon established criteria (mission priority, strategic alignment, budget, schedule). ⦁ Visions, Roadmaps and Release Plans would be developed at the initiation of each project and be updated throughout the project’s life. ⦁ Each team would utilize the Core, Extended and Operations Team framework. ⦁ Expose impediments that may exist for other teams. An automated way of integrating work on a continuous basis is still lacking. An effort has begun to provide a set of servers that the IPTs can use to integrate code on minimally a daily basis so that there is a flow of code/test throughout a sprint. In addition, defining the practices and establishing the habits that will support this way of working is under way. Brandon and Judy want to develop a group of people that can become coaches for ORG. These coaches would continue to provide a systems-­‐wide view, making sure ORG continues on its path of improving. To that end, work with the existing Scrum Masters is daily and continuous.